Food. It’s a confusing topic. So just WTF should you eat? 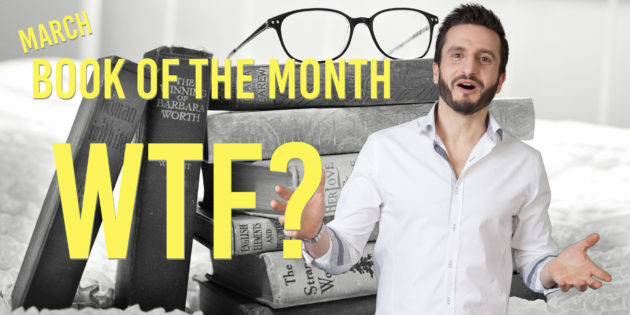 Well, in my book of the month for March, it’s Dr Mark Hyman’s latest book – Food: WTF Should I Eat. Also known (in US, I think) as Food: What The Heck Should I Eat? If you don’t know of Dr Mark Hyman, then it’s time to check out his work. He’s one of the leading lights in the Functional Medicine movement. Functional Medicine is about looking at the whole person and treating the root cause of the illness. Not just masking over the symptoms! Shock horror! How dare anyone actually treat a person and look to get them off long term medications if possible and back to great health. Our healthcare, sorry – sick care, system is broken. In the UK, in the US and most industrialised nations. It’s broken all over in fact. But for different reasons. In the West, 80% or more of diseases and ailments that plague us a preventable and lifestyle driven. A lot fo them can be helped by food. Hippocrates said over two thousand years ago “Let food be they medicine.” Did we listen? Mostly no. Most doctors have absolutely NO IDEA about the power on a person’s plate. The plate can be a powerful provider of health, vitality and energy or a painful poison to poor wellbeing. It’s a minefield though when it comes to what to eat and drink to stay healthy. Lots of conflicting advice. I study this day-in, day-out and I still have areas of confusion. Whilst I don’t agree with 100% of what is in this book, it’s got sound advice for all and worth reading. It’s broken up into different sections outlying the myths, what we got wrong and right and what the best choices are given the circumstances. The sections include: meat, fish, dairy, vegetables, fruits, grains, beans, nuts & seeds, oils, sugar and really practical advice. Dr Mark Hyman doesn’t subscribe to a particular diet (and neither do I – although my principle-led approach PANLO 80/20 is similar to Dr Mark Hyman’s ‘Pegan’ coined approach. See my PANLO 80/20 blog post here: http://harikalymnios.com/how-to-fuel-yourself-for-success-at-work-home-and-in-life-feel-super ). Eat tiny amounts of meat – and make it organic and ensure animal is fed it’s natural diet. Essentially what I say in PANLO 80/20. Grab a copy and dive in a little more with all the research studies that he cites. If you’ve already read it, then let me know what you think below.